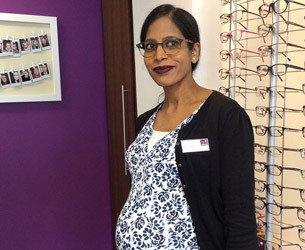 Our lovely dispensing optician Saika leaves us for a little while this week as she’s having a baby! We had a lovely meal out to wish her well and hope that she enjoys her time off with her new addition. We’ll let you know any news when we have it and would just like to say “Good luck Saika”! We wish her and her growing family all the very best. 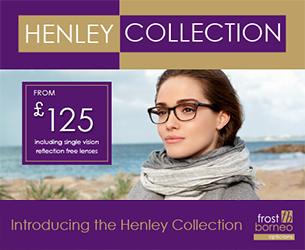 We know that value doesn’t come from cutting quality and slashing prices, so we have carefully sourced a collection of fabulous eyewear that we are delighted to offer from just £125 complete with reflection free single vision lenses. Call in and browse the collection and find your fabulous and affordable new look with a complimentary style consultation. 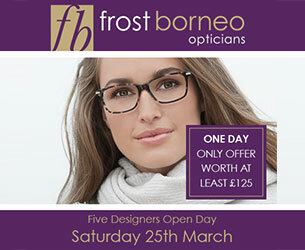 We will be holding our ‘Five Designers’ Open Day on 25th March and invite you to join us. There will be a chance to take advantage of our one day only ‘free second pair’ and we will also have great offers on sunglasses (as well as a cold glass of fizz to help you in your decision making!) We look forward to seeing you. 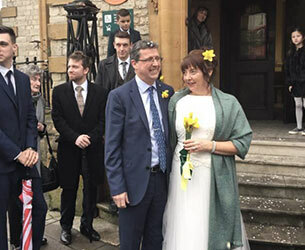 Mr Frost married his lovely fiancée Helen this month. They both had a wonderful day with close family and friends at a venue in Oxfordshire then a week’s honeymoon in Devon with their puppy Jack (Jack Frost!) We wish them all the very best for a happy and healthy future together. 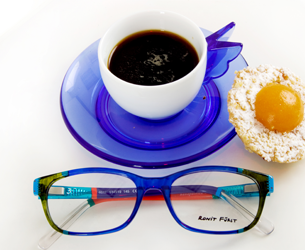 There’s now 30% off all Ronit Furst frames! These quirky, hand-painted frames reflect the wearer’s bright personality! With 30% off there’s now even more reason for you to show off your colourful side! 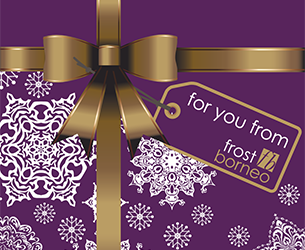 Pop in and see us between now and 23rd December to select an offer of your choice from the Frost Borneo Christmas Tree. But hurry, we only have 100 offers to give away!